Luxurious. Tranquil. Beautiful. The Banyan Tree. Highly ranked…and for good reason! 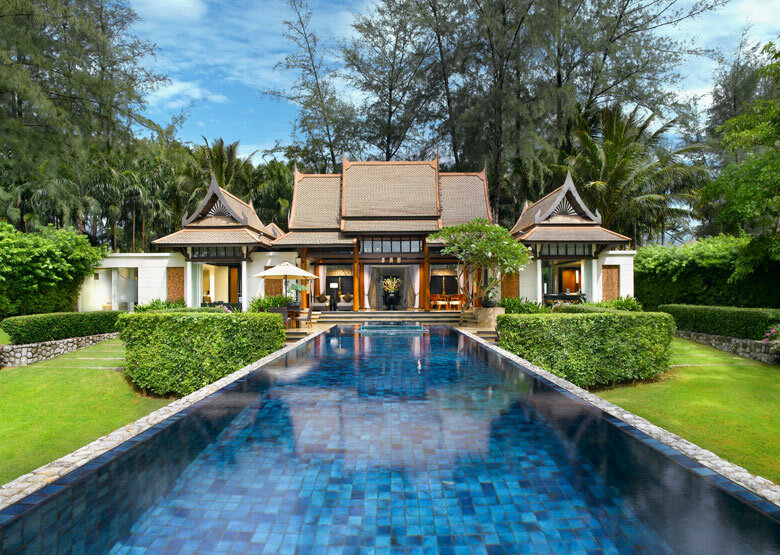 The premier resort in the Laguna complex, the Banyan Tree Phuket is consistently ranked as one of the best properties in Asia. Their luxurious free standing pool villas are located throughout the resort gardens offering guests a sense of privacy, tranquillity and space. 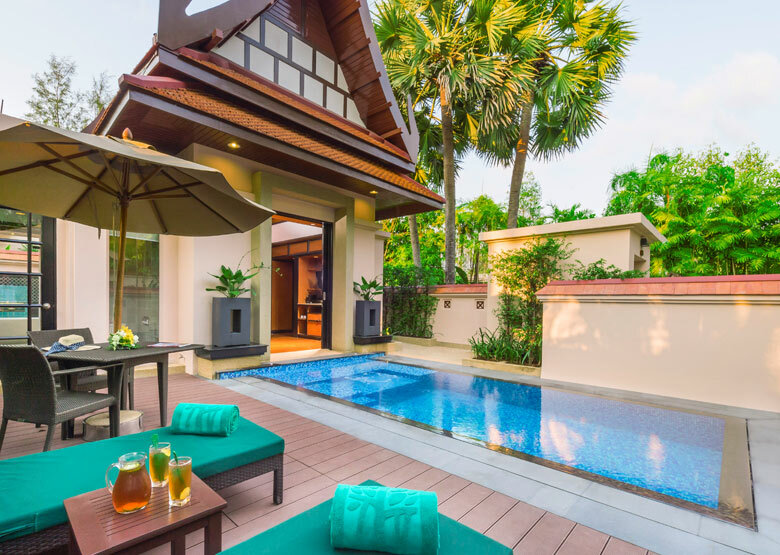 Designed to reflect a traditional Thai home with a décor of rich woods and resplendent Thai silks, all villas feature the contemporary amenities one would expect in a luxury resort. Whilst not beachfront, the Banyan Tree does have easy access to the white sands of Bang Tao Bay. 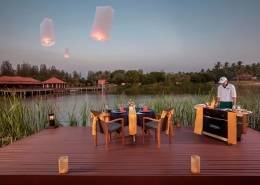 Its beautifully landscaped resort grounds feature a lagoon and canals that provide the property with a sense of calm. On check in, each guest is allocated a bicycle for the duration of their stay for ease of movement around the vast resort grounds. Cooking classes, yoga, gym, kids club, indulgent Spa and golf lessons are just some of the guest activities on offer. Eclectic dining options are available at the resort and in addition to their 6 restaurants guests can take a Long Tail Boat Dinner cruise or have a romantic dinner in the middle of the lagoon. Extra benefits you will love. 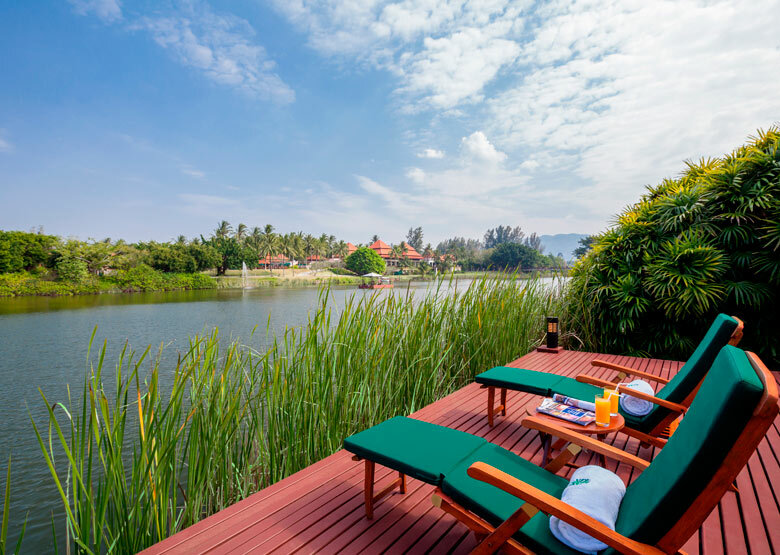 The Banyan Tree is the ideal resort choice for the discerning traveler wishing to holiday in this region. 175 air conditioned 1, 2 and 3 Bedroom Pool Villas. 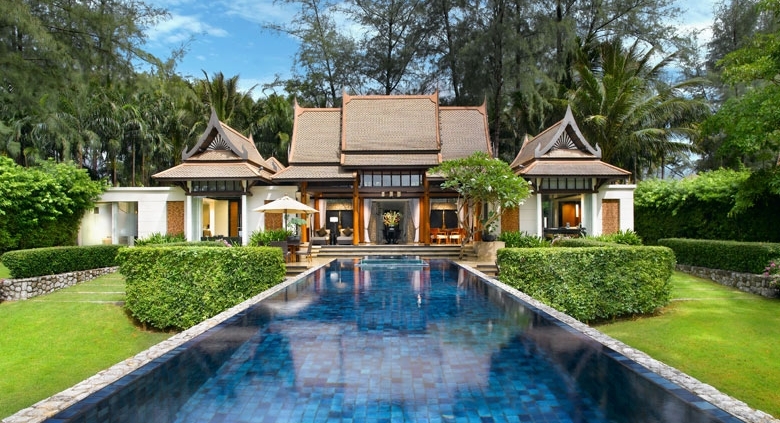 Including Banyan Tree Spa Sanctuary, where an intimate enclave of 12 exclusive villas offer the time and space to combine life enrichment, and 25 DoublePool Villas that come with a bedroom pavilion with full length windows and floats on a private wading pool at DoublePool Villas by Banyan Tree. Children’s Policy: Rangers Club offer a complimentary kids outdoor activity program for children aged 5-7 years to immerse in an educational adventure that will encourage their overall development and communication skills. Children under 5 years must be accompanied by an adult. 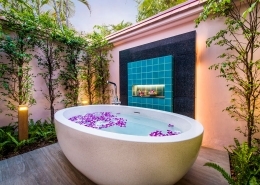 The Banyan Tree Phuket offers guests luxurious free standing pool villas scattered throughout landscaped gardens that feature a lagoon and canals which provide privacy and a sense of tranquility. As the premier resort in the Laguna complex, guests are treated to an elevated level of service and resort facilities. 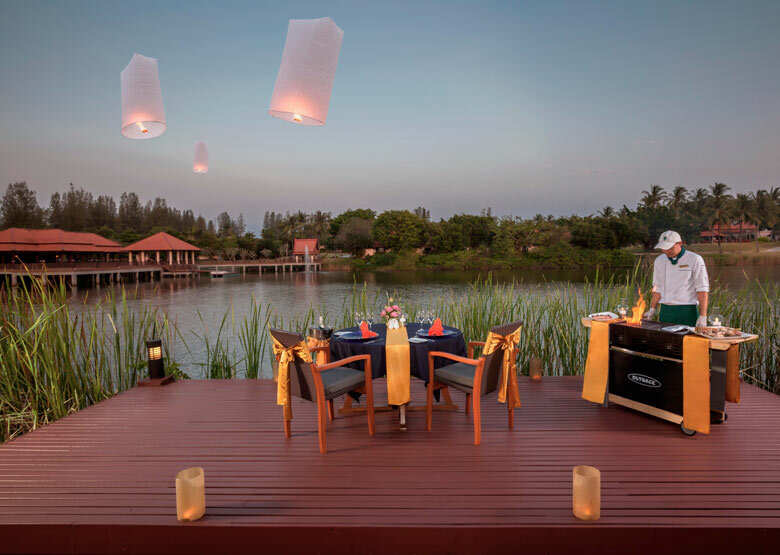 For the ultimate indulgence, why not book a romantic dinner served in the middle of the resort’s lagoon. 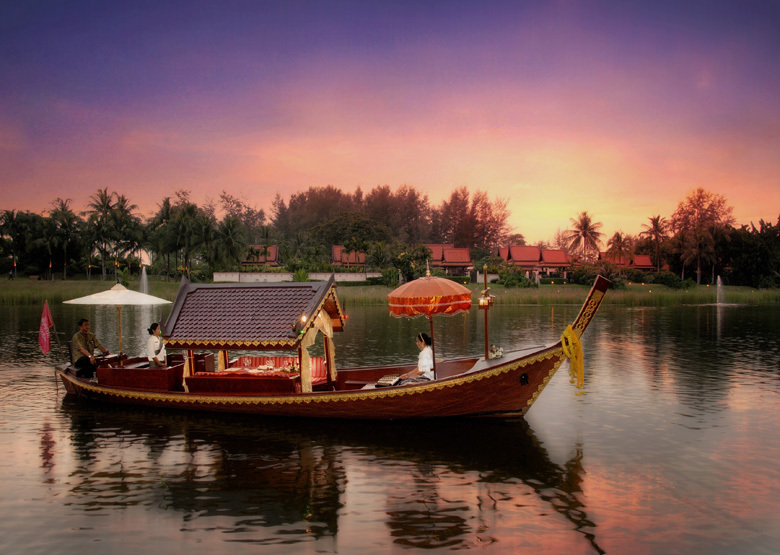 The Banyan Tree Phuket is located at Bang Tao Bay in Thailand. Vehicle transfer time is approximately 20 minutes from Phuket Airport. See map below for exact island location. We have nothing but good things to say about this incredible hotel. The room is simply spectacular. Waking up with a pool at your sight makes you day a better day.